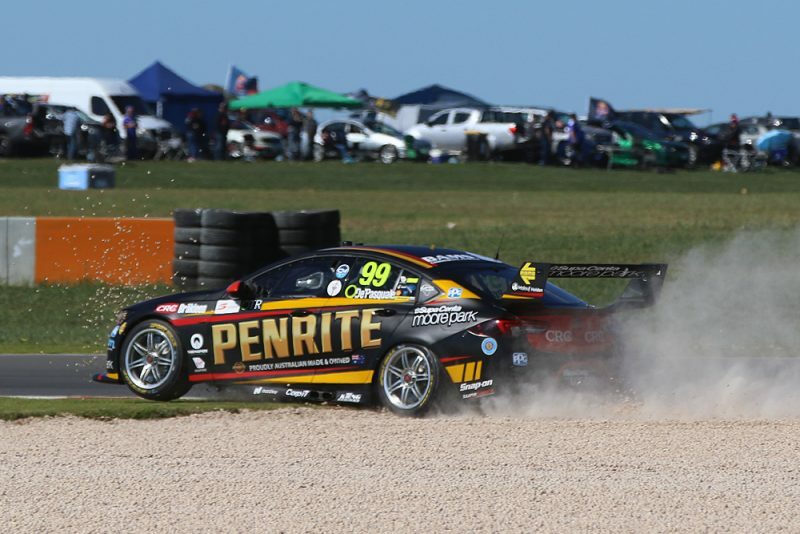 Scott McLaughlin described The Bend Motorsport Park as ‘wild’ as the Supercars field experienced the new circuit in contemporary touring cars for the first time. The maiden Supercars session at the newly constructed 4.95km circuit offered drivers their first real competitive run in a Supercar at Australia’s newest permanent race track. It proved to be an important session for the drivers and teams to learn the limits of the track, providing several wild moments in the process. The outing was McLaughlin’s first ever lap of the venue with the Kiwi suitably impressed by the facility after describing the tricky Turn 8 right hander as like something out of the X-Games. The Shell V-Power Racing driver ended the session in 18th spot having elected to focus on a race run while avoiding a fresh set of tyres. “It is awesome and it is very different to anything we go on,” said McLaughlin, who experienced a fast spin at Turn 14. “For these cars it is quite a challenge, they are big heavy things on big, long loaded corners. “The track’s great, it’s a lot of fun,” added McLaughlin’s team-mate Fabian Coulthard. Brad Jones Racing’s Tim Slade topped the session but did so having also suffered a spin during the opening 45 minute hit-out. The South Australian admitted that the circuit is like nothing else he has driven in his career. “I feel as though it is quite unique,” said Slade. “Even coming into the weekend I was trying to give the engineers an idea what the track compares to and I couldn’t really think of any other track. Meanwhile, Erebus Motorsport’s Anton De Pasquale described the venue as a European style circuit after he ended Practice 1 in sixth. The biggest issue faced by the Supercars field was finding grip on the new green track surface that has had limited running since the venue held its first motorsport event in April. “It’s a very European kind of circuit, as you can tell by the layout, which is kind of similar to Phillip Island – nice, flat kerbs and very smooth surface,” said De Pasquale. The Supercars field will return for another 45 minute practice at 1505 local time.